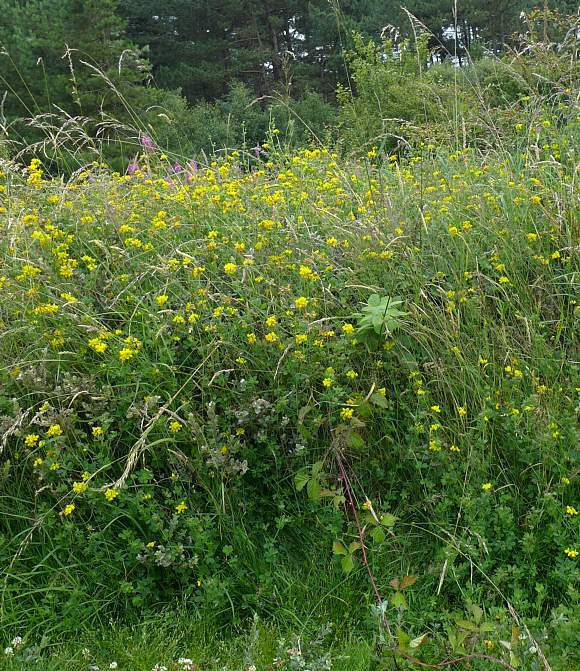 A perennial (un-like Hairy Bird's-foot-Trefoil and Slender Bird's-foot-Trefoil which are annuals) which grows highest of all Bird's-foot-Trefoils to 1m. 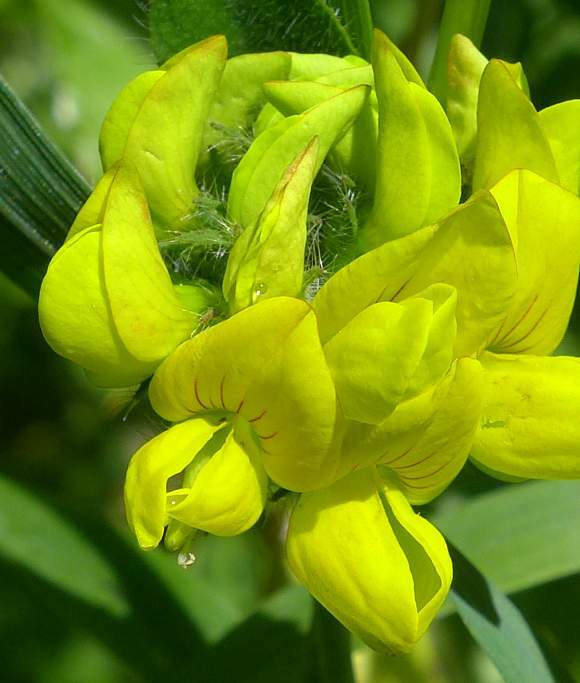 Flowers in bunches of between 5-12, being higher than all other Bird's-foot-Trefoils (although there is overlap at the lower end with several other species). Erect to ascending stems (rather than ascending to procumbent as with other species). Leaves in fives. Up to 12 flowers in a bunch. 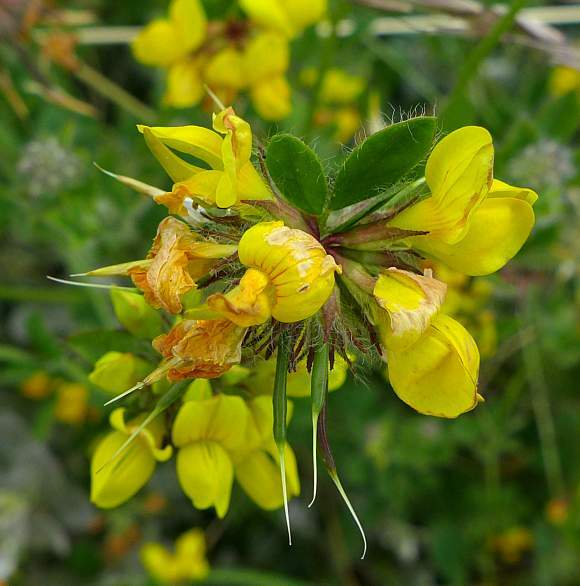 Flowers always deep yellow with faint orange-red stripes on the banner, a darker yellow than other species, never sometimes orange or red as with Common Bird's-foot-Trefoil). Banner with several orange-red stripes. Three sepal teeth recurved in bud (the other two straighter but separated by an acute angle (rather than at an obtuse to acute angle). Can be hairless (glabrous) to hairy, here hairy. Some flowers turning to fruit. Turned to fruit, pods long and slim emerging from much wide sepal tubes. 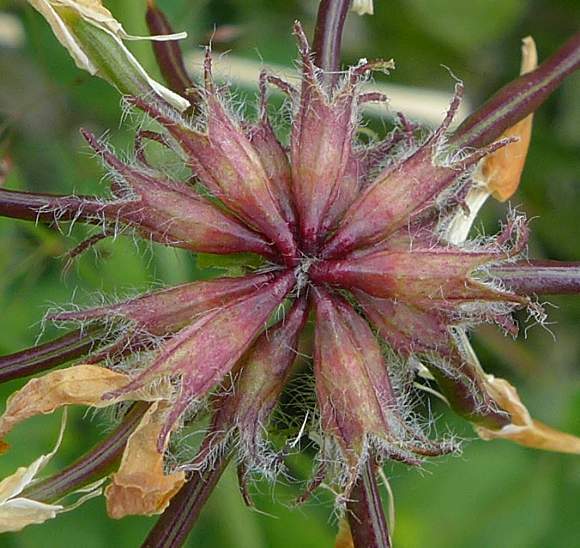 Some pods still have parts of the (withered) flower attached. 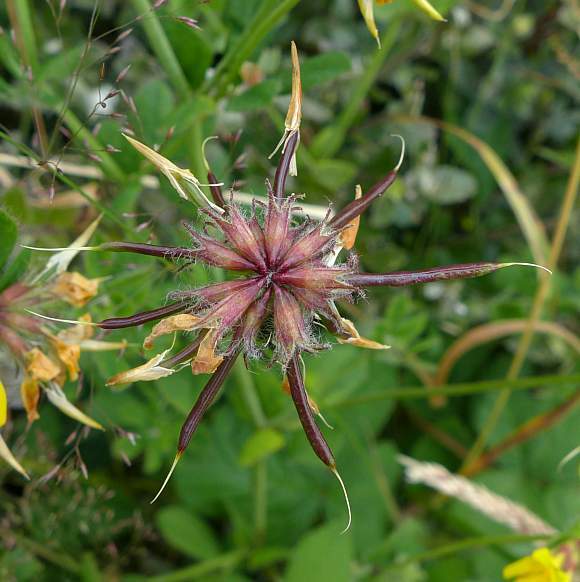 Fruit pods between 15 to 35mm long (only slightly longer that those of Common Bird's-foot-Trefoil at up to 30mm long). Pods have a long style still attached. Sepal teeth recurved except for the pair at the top which are separated by an acutely angled notch (sinus). 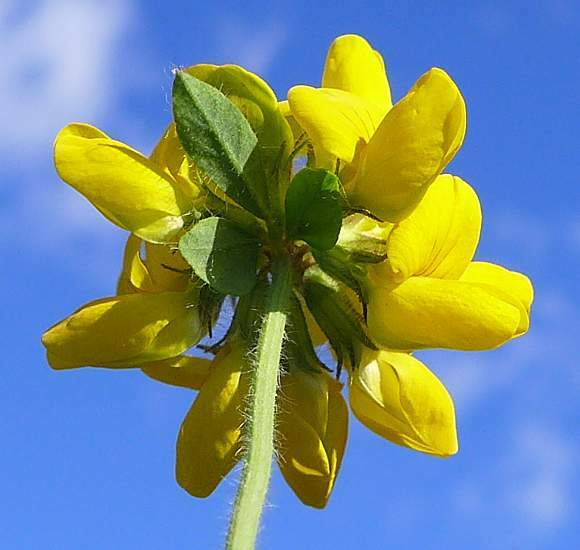 Leaves possibly slightly wide in shape than those of Common Bird's-foot-Trefoil, in threes at the end on a long stalk from the pair at the stem. 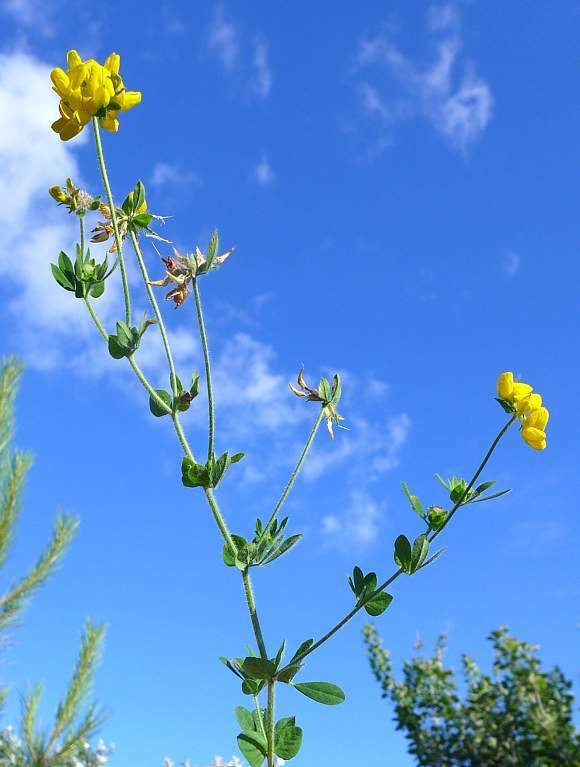 Common Bird's-foot-Trefoil (Lotus corniculatus) but that has slightly shorter pods 15-30mm (rather than up to 35mm of Greater B-f-T), has fewer flowers (1-2 to 7 (rather than 5-7 of Greater B-f-T) and is also ubiquitous. 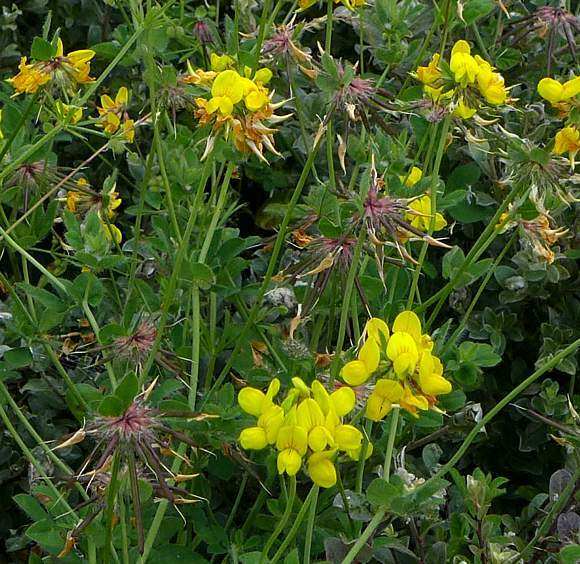 Narrow-leaved Bird's-foot-Trefoil (Lotus tenuis) usually only 2-4 flowers (but can have 1 to 6) with linear to linear-lanceolate leaves (rather than ovate to obovate of Greater B-f-T) and found mainly in the SW of England. 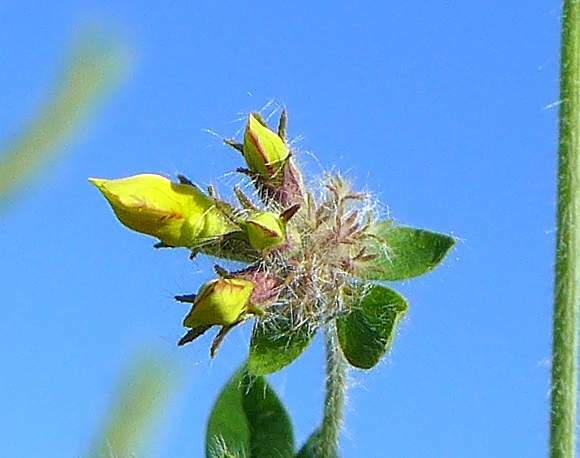 Hairy Bird's-foot-Trefoil (Lotus subbiflorus) is always hairy, is an annual (rather than perennial) and is quite rare (RR). 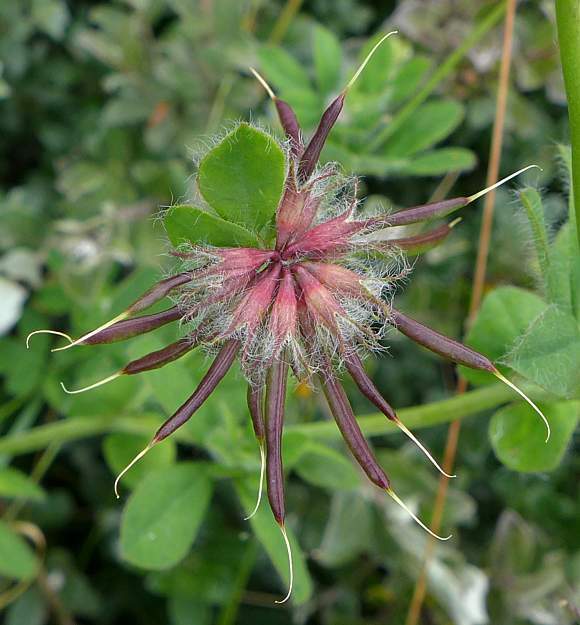 Slender Bird's-foot-Trefoil (Lotus angustissimus) is always hairy, is an annual, but is very rare (RRR) found only in the far South of England. 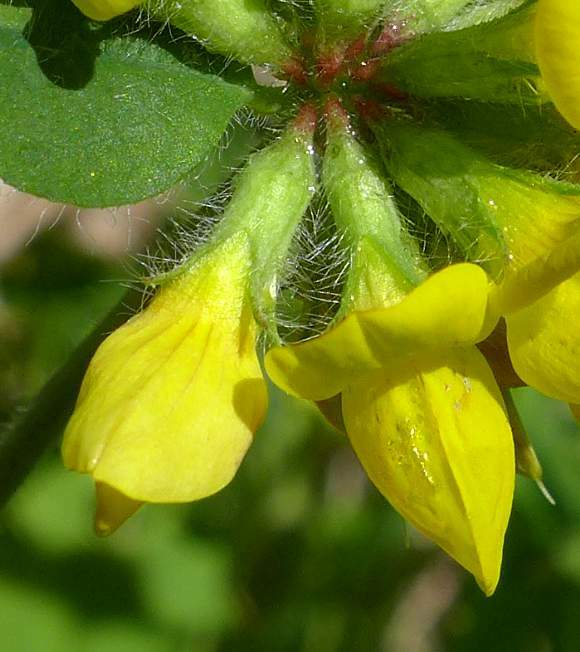 Distinctive features of Greater Bird's-foot-Trefoil over all others is that: It has hollow stems (only rarely hollow in Common B-f-T and Narrow-leaved B-f-T), it has 5-12 flowers (all others less than 7), it has three sepal teeth that are re-curved in bud, the other two with an acute-angled notch between them, fruit pods 15-35mm long (a max of 30mm in all others). No relation to : Bird's-foot Sedge (Carex ornithopoda) [a sedge with similar name]. 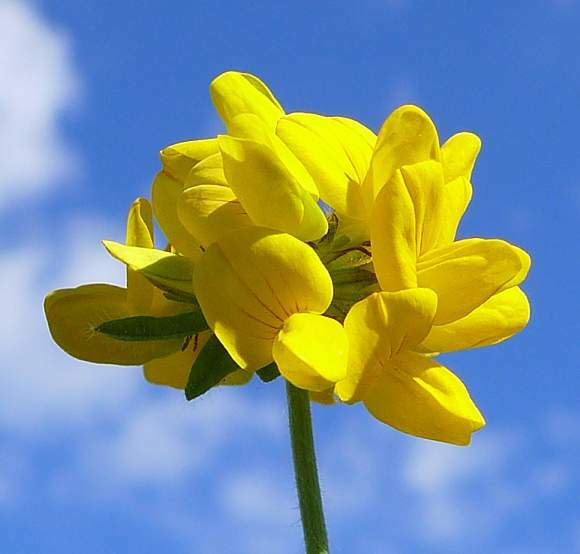 Slightly larger than the next largest, being Common Bird's-foot-Trefoil Greater Bird's-foot-Trefoil is an erect native perennial growing to 1m in damp places such as marshes, side of ponds, and damp grassland and woodland rides. It is ubiquitous found almost throughout the British Isles except the highest ground in Scotland. 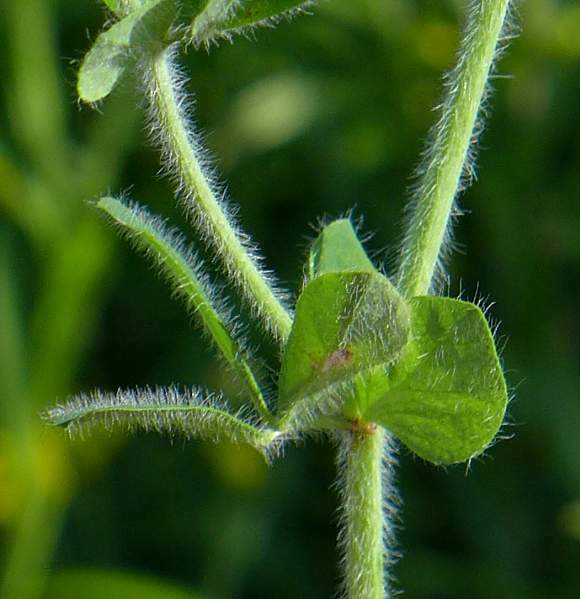 The 'trefoil' part of the name derives from the terminal triplet of leaves. The 'bird's-foot' from the shape and form of the seed-pods (although your Author wonders about those birds with up to 12 toes [aka pods]). 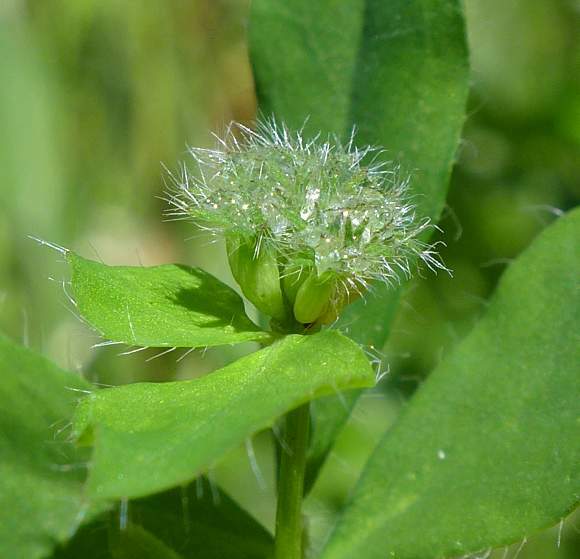 Bird's-foot Trefoils, like many other plants belonging to the Pea Family, contain poisonous Cyanogenic Glycosides.